Monday - Friday, 9 a.m. – 5 p.m., Saturday 1 – 5 p.m., & every second Monday, 9 a.m. – 8 p.m.
From the Collection showcased Jun Kaneko’s ceramic & glass work alongside a uniquely curated architecture exhibition. 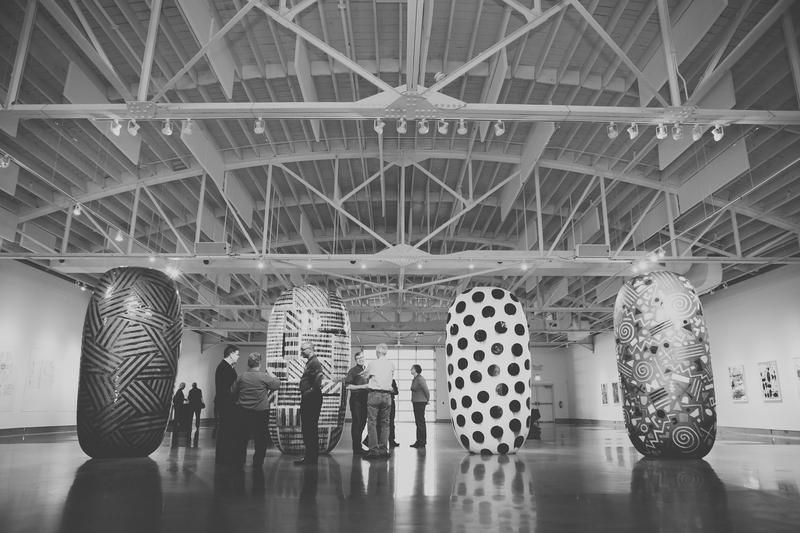 This exhibit of Jun Kaneko’s work brought together a set of six 11-foot ceramic pieces known as “Dangos.” This was the first time these pieces were shown together. The exhibit included documentation of the art-making process, including sketches, photographs, and video. This exhibit of Jun Kaneko’s work was comprised of six “sound sculptures,” — three ceramic and three glasswork —, box-shaped lattice-work pieces in which rhythm is determined by the relationships among their linear components. These rarely shown works were shown in the natural light of KANEKO’s newly built Clerestory Gallery. 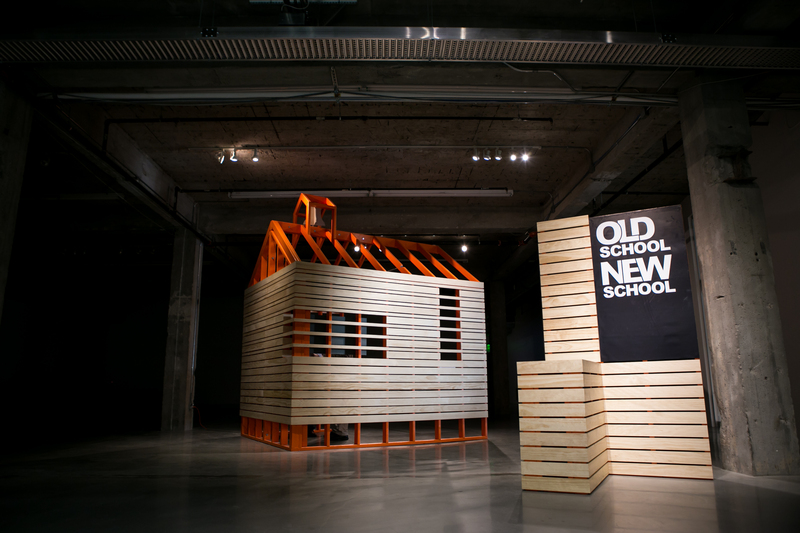 Three of Omaha’s largest architecture and engineering firms were asked to create exhibits that showcase their design philosophy through completed projects. Beginning on September 20 and running through November 15, DLR Group, HDR, and RDG exhibited models, renderings, and images that exemplified their approaches to projects. The organizations were given very little direction or limitation on how they choose to represent their ideas. 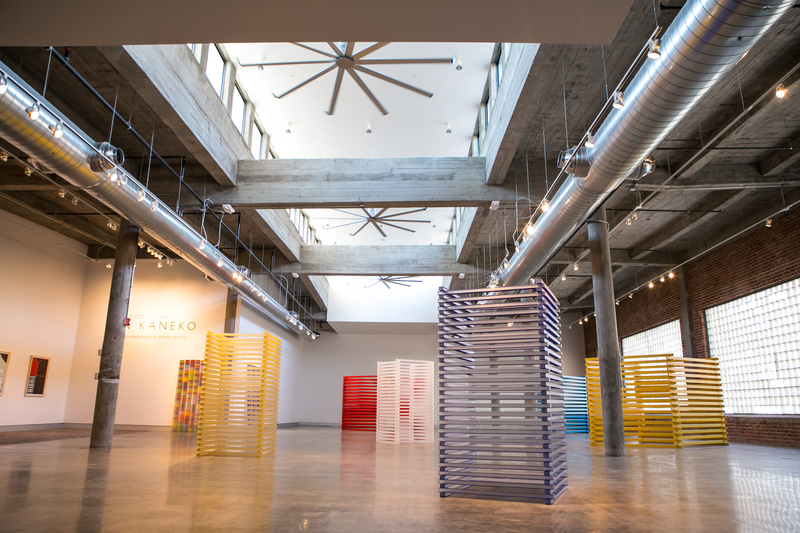 Each of the firms was given blank space in one of KANEKO’s newly renovated galleries to express themselves and their architectural philosophies.